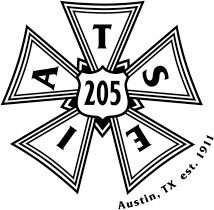 IATSE Local 205 is starting an educational seminar program to help raise the skill levels for all workers in Austin. These are short seminars on basic crafts and skills, presented by IATSE Local 205 for any and all Austin stagehands. The first educational seminar will be held on Monday, October 24th from 6:00 pm to 7:30 pm at the IBEW Building, 3rd Floor meeting room, 4818 E. Ben White Blvd, Austin TX 78741. 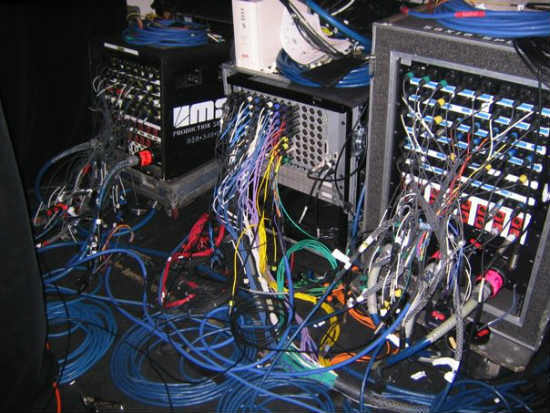 The topic of October’s seminar is basic audio- connectors, equipment, signal flow and gain structure. There is no cost to attend the seminar, however you must RSVP to gro.5155571261002est1555712610ai@no1555712610itacu1555712610de1555712610 so that we can plan for how many people will attend. This entry was posted in Committee News, E-Board News, Education Committee, Events, News, Vice-President and tagged audio, basic, class, classes, crafts, education, opportunity, seminar, seminars, sessions, skills, training on 10/20/2016 by 205admin. If you were signed up for a Lynda.com subscription that just ended on 8/31, you may renew your subscription for $25. See this flyer for what the courses are like or browse all of them on lynda.com. New subscriptions also cost $25. See the attached flyer for more information on Lynda.com and the online training that is offered. All year 2 subscriptions will last until 8/31/2017. You must be, and remain, in good standing with all financial obligations to Local 205 in order to sign up for Lynda.com. To sign up or renew, please follow the following procedure. Please note that the IATSE office in NY wants to receive ONE check from Local 205 for all people who sign up, so we must follow these steps. Email *protected email* and let me know that you want to renew or sign up. If you are signing up for the first time, please include your date of birth (required by Lynda.com) and the email address you would like to have associated with the Lynda.com account. Renewing members will continue to use the email address that they signed up with last year. Send a check for $25, payable to “IATSE Local 205” to Treasurer Kelso. Please put “Lynda.com” on the memo line so she knows what the check is for. You may mail the check to PO Box 142, Austin TX 78767 or pay at the monthly meeting. Your subscription will be activated when the IATSE office in NY receives and processes the subscription forms. Lynda.com will contact you directly to complete the sign in process at that time. This entry was posted in 205 News, Education Committee, News and tagged discount, education, learning, lynda.com, opportunity, partnership, skills, training on 09/23/2016 by 205admin.